From March 29 to April 3, the 2nd youth academic forum on structural geology and geodynamics was successfully held in Nanjing University. The forum was divided into two parts: indoor reports and field geological survey. Through lectures before the meeting, conference reports, special reports, academic panel, famous teacher rostrum, debate on hot topics, free discussions and a variety of forms, indoor reports made in-depth discussion and research on the latest achievements in the field of the structural geology and earth dynamics, with 14 themes: tectonic deformation and rheology, subduction and collision orogenic process and geological records, regional tectonics and magmatism and mineralization, among others. The field geological investigation was divided into two routes: the Dabieshan UHP metamorphic belt and the Shexian Neoproterozoic ophiolite melange belt. 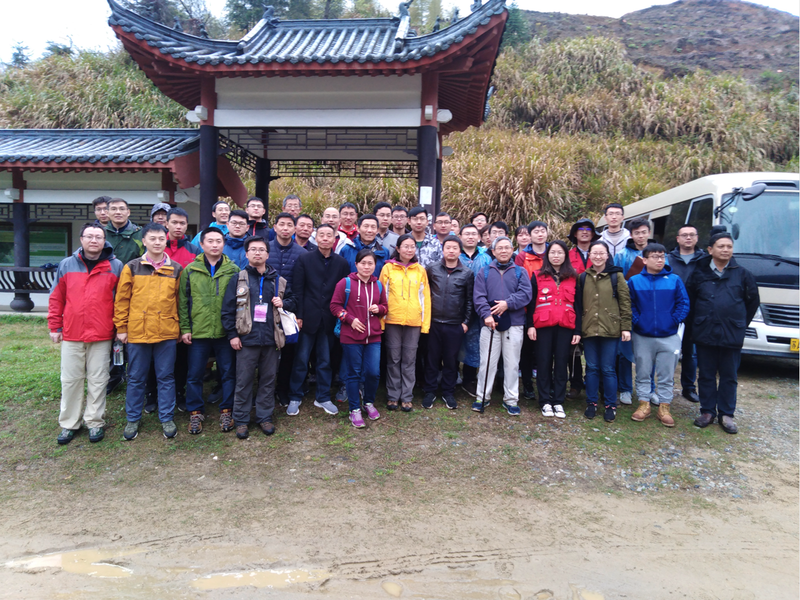 On April 1-2, led by Professor Wang Qin of Nanjing University, Professor Zhao Xixi of Tongji University, researcher Zhuang Shuanhong of Institute of Mechanics of Geological Academy of Sciences, more than 40 experts and scholars went into Tianzhushan UNESCO Global Geopark to make field investigation on Dabieshan UHP metamorphic belt in classic areas, such as Bixiling, Xindian, Laolongzui and Hanchangchong. 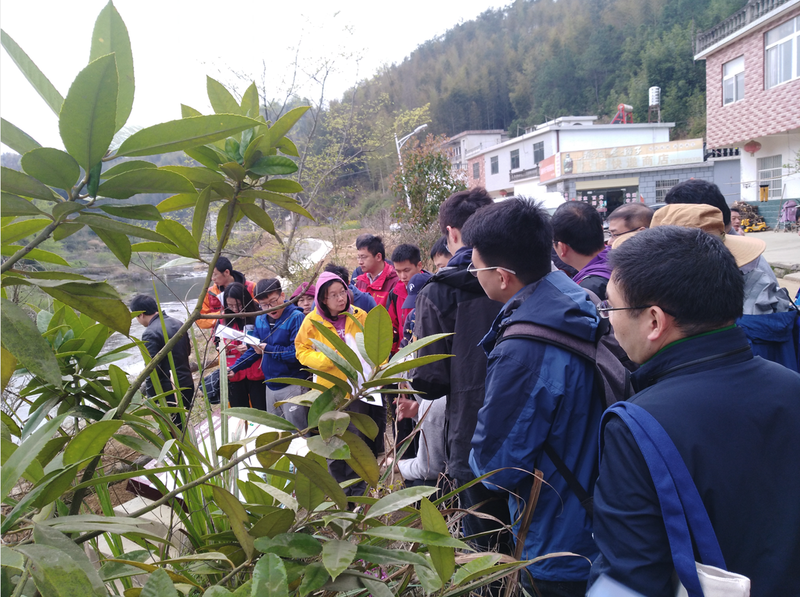 Professor Wang Qin made a humorous and professional introduction to the basic geological situation, research history, research achievements, research hotspots and scientific problems to be solved. The experts and scholars at the meeting also had a heated discussion on the geological conditions and the origin of rocks on the ground, and expressed that they would conduct in-depth study on the samples taken. This forum was designed to gather the top scientists in the field of structural geology and geodynamics and the vast majority of young scholars, to display cutting-edge scientific research, make academic communication, broaden scientific thought on tectonics and geodynamics, promote the discipline development of tectonics and geodynamics, speed up innovation and the front breakthrough on the method of structural geology theory, highlight the latest research progress and achievements of young scholars in our country, to promote the further growth of young scholars. 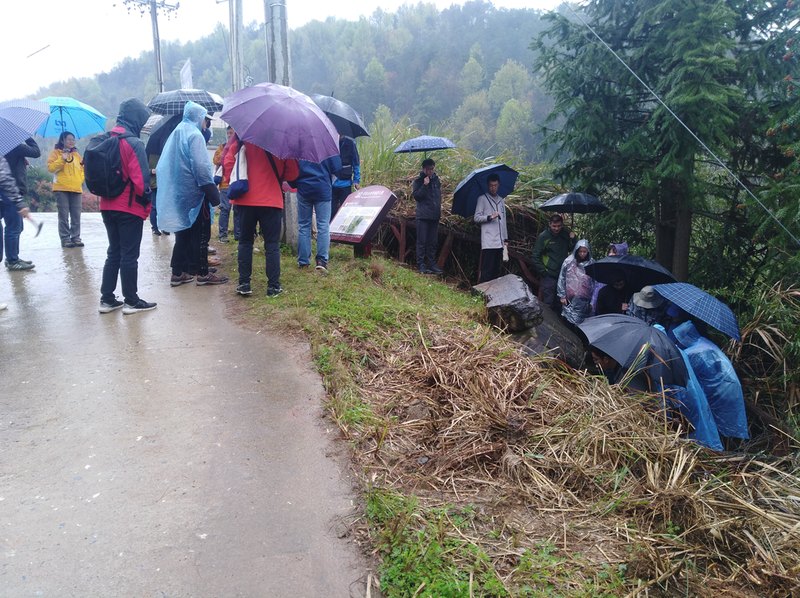 The field investigation in the park further stimulated the enthusiasm of experts and scholars for the study of the Dabieshan UHP metamorphic deformation belt, and greatly improved the visibility of Tianzhushan UNESCO Global Geopark.